Classified Flyer Ads (CFA) isn't just for making and distributing Real Estate Flyers, it's also great for Posting Classified Ads for Autos, Jobs, Services and Products. It's an ideal site for generating low cost ads that produce results. With CFA you can create appealing full color property ads for "for sale" listings in minutes. 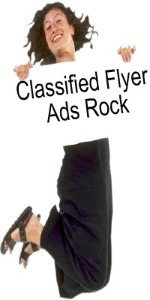 Once you've created the ads you can kick back and relax a bit as Classified Flyer posts your ads all over the Internet to search engine and Real Estate Directories. 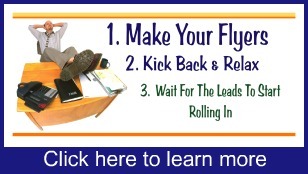 It's a great quasi passive way to increased real estate leads and prospects. Saying it's an easy way to expand your marketing reach is an over used cliche, as is saying that it's an easy way to generate leads...but it is! CFA will post your flyer ads to over 40 of the most popular industry sites on the web, like Zillow, Trulia, HGTV's Front Door, E House Ads, American Towns, etc. It'll also post to some of the most popular Social Book Marking sites; like Facebook, LinkedIn, Twitter, StumbleUpon, etc. Here's the bottom line. With CFA's automated real estate syndication your "for sale" real estate listings will get major online exposure with minimal effort! 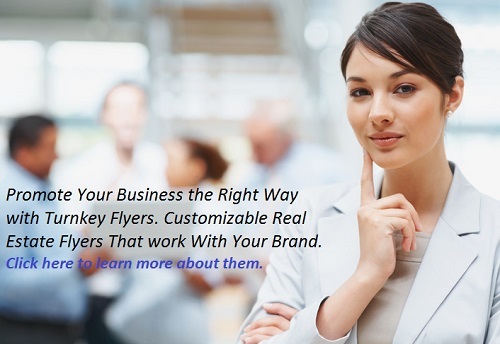 Search Engine Optimization With CFA your flyer ads will be Search Engine Optimized for best results. There are few places where you can advertise so little for such plentiful results. And the benefits go on and on. For example, With every flyer ad you can create a free virtual tour. And you get to select from multiple themes, upload 30 pictures/images, add a text tagline, etc. Here's The 3 Step Process I Used!